Do you really know what’s happening in your business when the phone rings? 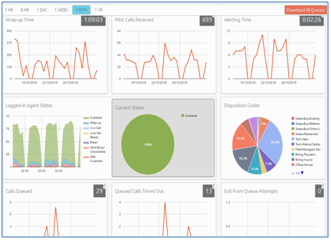 The Pinnacle Telecom Contact Center can provide the tools you need to drill down and find out what works and what doesn’t in your call processing plan. Paired with Cloud Recording and Hosted Phones, the entire solution is available without having to purchase software, or servers, or the need to hire experts to manage it. Whether you have 5 phones or 5000, we do the heavy lifting. This gives you the time to do what you do best: Run your business. Configure changes in real time. Could your business benefit from any of these features? If yes, then Contact Center may be a great option for your business! Ability for people to Login/Logout of taking calls themselves, on demand. Contact Pinnacle Telecom today and start seeing what you’ve been missing!